Hardin Bourke Entertainment : ON THE ROAD IN TEXAS WITH K.FLAY! ON THE ROAD IN TEXAS WITH K.FLAY! 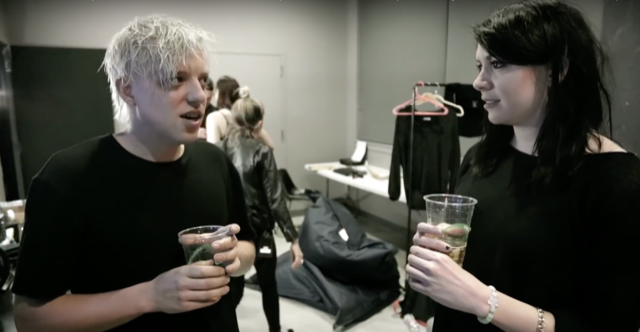 Earlier in March, Robert DeLong surprised K.Flay fans with a special appearance at her show in Texas where they performed their newest single, "Favorite Color Is Blue". A new video, "On The Road in Texas 2018 (Behind The Scenes) ft. K.Flay", by film-maker Austin Roa, captures an inside look at DeLong and K.Flay's soundcheck, music video shoot and pre-show antics.